I know that Spring is supposed to be on the way but we’ve got snow here again today. Luckily, I’ve been going through a bit of a hat-knitting phase so we’ve both gots cosy hats to keep us warm. 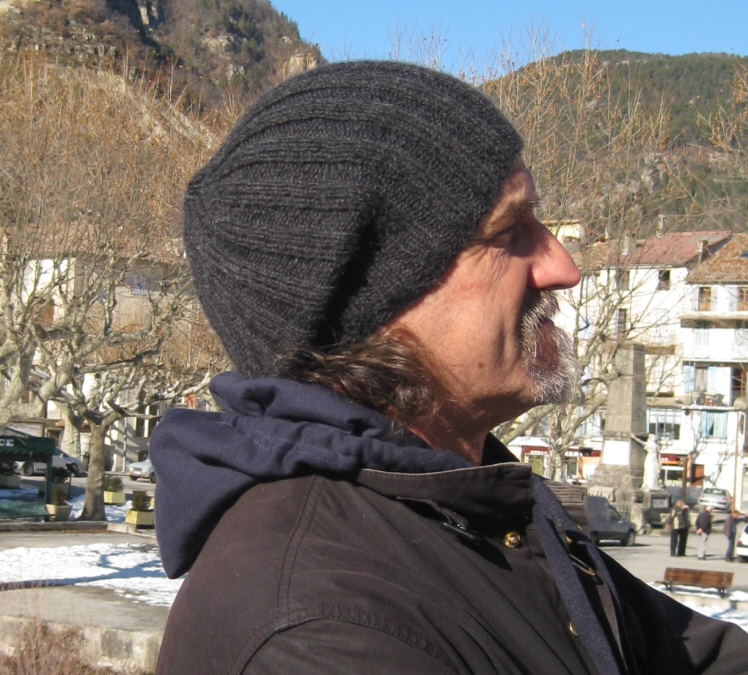 John’s hat is a ribbed slouch hat knitted in King Cole Baby Alpaca. A free copy of the pattern is available from www.knitncaboodle.co.uk. 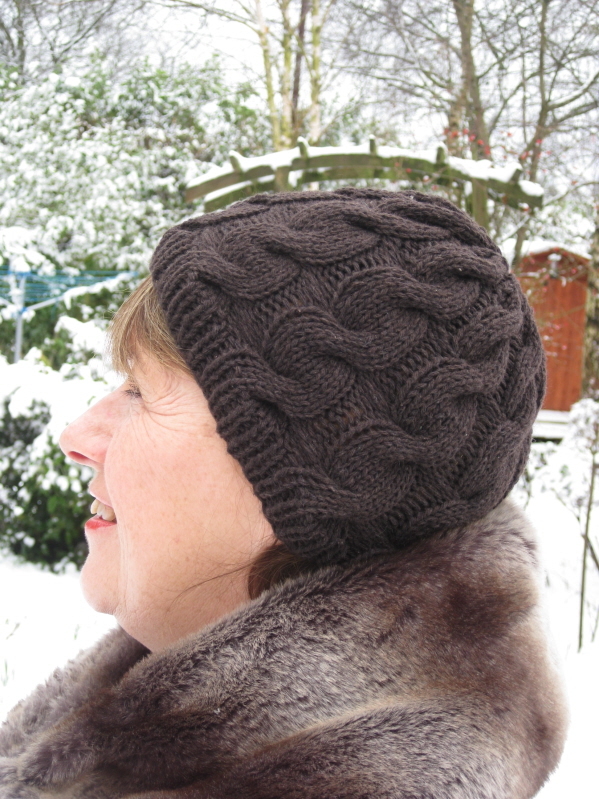 The dk yarn is beautifully soft – producing a hat that is warm but surprisingly light. The photo here was taken when we were in France. We took the ‘Chemin de Fer’ narrow gauge railway from Nice and got off at Annot. There was little sign of life in the village – a world away from Nice, only a couple of hours away. We had an hour before the train back but found little open, apart from a friendly cafe that produced delicious coffee and huge ham baguettes. Keeping warm despite the weather! I enjoyed knitting the hat but am not entirely satisfied with the stitching – I really struggled to stop the purl stitches between the cables from stretching. I don’t think it matters too much in the end but, if anyone knows of a way to avoid this, I’d appreciate the help.